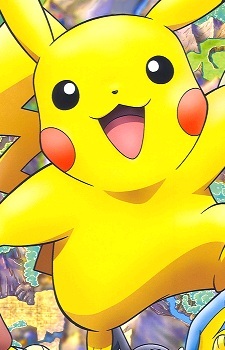 Pikachu is a Pokemon given to Satoshi as a last choice since he was late to his lab class. At first Pikachu avoided Satoshi, shocking him every time he had a chance. He soon warms up to Satoshi after he saves him from wild Spearows. These two soon grow a bond stronger than any others. Pikachu does not like to be kept inside his pokeball.